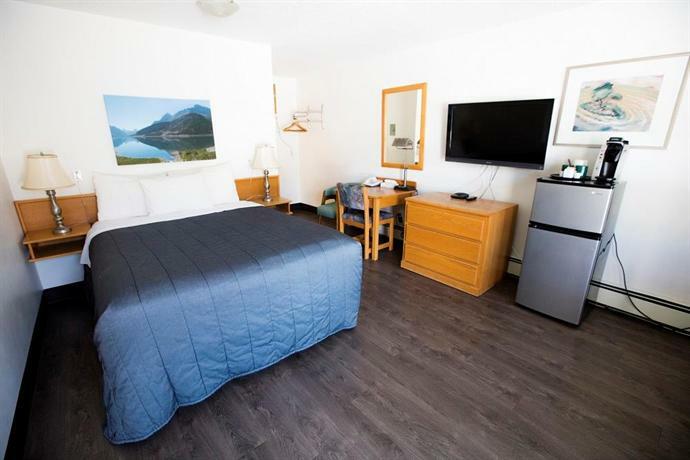 This motel is located just off Hwy 1 in Canmore's downtown, and offers a budget stay with kitchen facilities in walking distance of restaurants, pubs and groceries. The smoke-free motel has 25 rooms on 3 floors with exterior corridors no elevator. 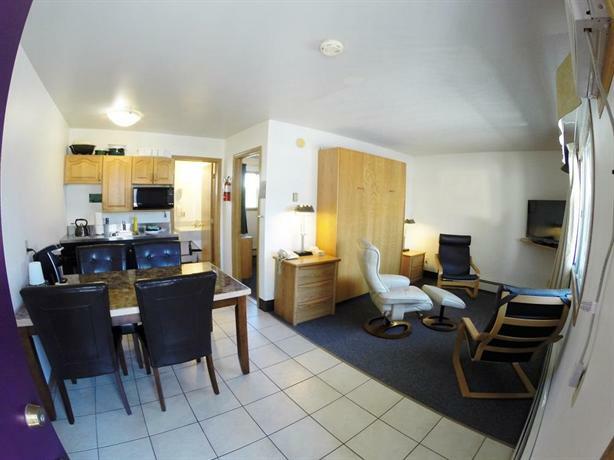 All rooms include free Wi-Fi, cable TV, a Keurig coffeemaker, a mini-fridge, a desk, a hair dryer and climate control. Some rooms include a separate bedroom, a pull-down bed, a living room, a microwave, a kitchenette (with stove top), a full kitchen (with stove and oven), a dining table, drive-up access and mountain views. Irons and ironing boards are available at the front desk. This motel is not wheelchair accessible. There is 1 pet-friendly room only; pet charges may apply. Hotel amenities include a guest laundry and BBQ facilities. What’s nearby? The Banff townsite is 23 minutes away by car. Canmore Museum is about a 4-minute walk from the hotel, while Canmore Golf and Curling Club can be found 5 minutes away by car. For skiers and boarders, Mount Norquay is a 27 minutes, Sunshine Village is 34 minutes and Lake Louise is 1 hour away by car. Guests typically enjoyed staying at this motel for its value and convenient location. Guests found the location convenient to downtown amenities, pubs, restaurants and shopping. Some liked having a pub next door with a micro-brewery, and guests liked the location for being close to Banff but cheaper overall for dining and sleeping. The rooms were basic but very clean with comfortable beds and air conditioning, and some offered stunning views of the mountains. Some were pleased to have larger mini-fridges, with freezers, in their non-kitchenette rooms. Many were pleased with the value of this no-frills motel, especially when compared to Banff's hotel prices. Reviewers spoke well of the excellent staff, who were genuinely friendly and helpful. Some mentioned that the staff provided them with bear spray and a bear bell for safety's sake, gave helpful directions of the area and were helpful in saving guests money. Weak spots of the stay or motel sometimes surfaced in the reviews. Some guests complained of noise disturbances during their stays. Complaints included exterior noise from lawn mowers, passing vehicles, housekeepers speaking loudly during their early morning rounds, neighbouring rooms, water pipes and guests walking above on the veranda while rolling their luggage. Occasionally guests were challenged by having to carry luggage up the stairs to their rooms. Some complained about the Wi-Fi being slow and inconsistent, and a few guests missed having a microwave in their room (although some rooms have them). Very occasionally a guest would complain that the facility was dated. Booking.com guest reviews rated the hotel 8.4 out of 10 from 530 reviews. 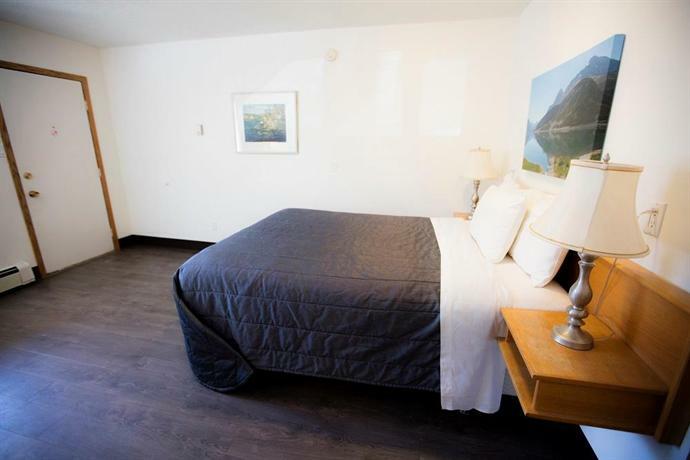 TripAdvisor.com guest reviews ranked the hotel #10 of 30 Canmore hotels with an average rating of 4.5 out of 5 from 174 reviews. 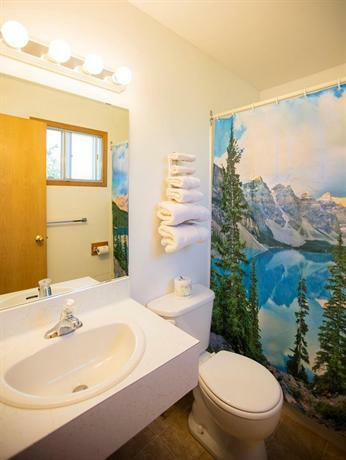 The average guest rating for Bow Valley Motel is 8.8 out of 10 based on 389 reviews from past guests. 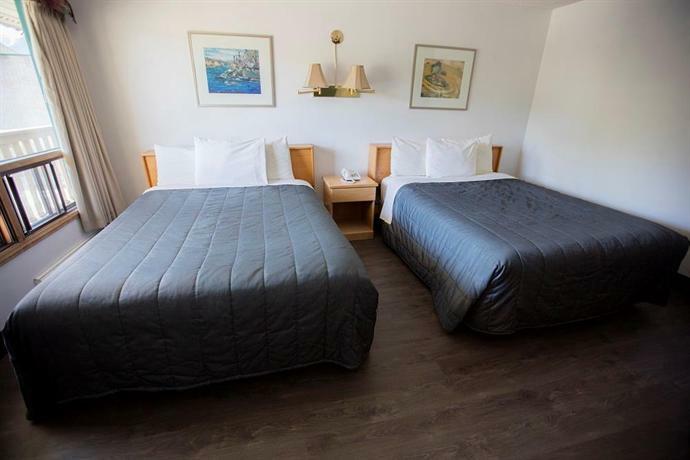 This average guest rating ranks Bow Valley Motel at #7 out of 34 hotels in Canmore.